Have team members join your Dropbox Business account. Invited members will create accounts that draw from your team's shared storage and give you more control and oversight over how they share work files. You can send invitations to users who still need to create a Dropbox account, or to those who already have one! Note: New members must join your team using the same email addresses you've entered for them in the Admin Console. To avoid confusion later, it's best to send team invites using work email addresses instead of personal addresses. Only team admins and user management admins can invite members to your Business account. 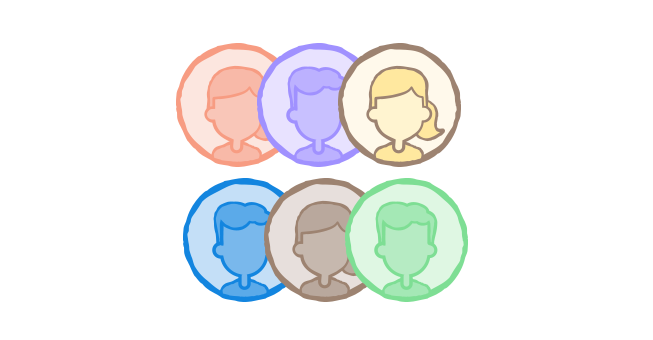 Each invited member uses one of your plan's licenses. If a team member already has a Dropbox account, don't worry. Invited members can either migrate their existing account to Dropbox Business, or keep it as a separate account that they can connect to their work account for quick access to both across all their devices. Sign in to your admin-linked Dropbox account. On the Members page, click the Invite members button in the top right-hand corner. Enter the email addresses of the team members you'd like to invite and add an optional message. If they don't have an account linked to the email address you sent the invite to, they'll simply create one. You can see what the process looks like here. If they do have an account linked to that email, they'll choose whether to migrate their stuff to their newly-created Business account or move all their stuff to a personal Dropbox. You can see what the process looks like here. Have better data control, with remote wipe and account transfer capabilities with any Dropbox Business member. Get more space for team members, improved collaboration features, and 120 days of deletion recovery. The suggested member will share the same email domain with the Dropbox Business admin. The suggested member will be a current member of a shared folder on the Dropbox Business team account. The suggested member is not currently a member of the Dropbox Business team. Membership requests help admins easily grow a team. With membership requests, prospective members can request to join a Dropbox Business team or a free team, and the admin of the team can simply accept the request. With membership requests, any Dropbox user with a verified email address on a company domain can request to join a team. If there is a Dropbox Business team on a company domain, Dropbox Basic and Plus users can request to join that team. If there is more than one team on a domain, users will see all available teams, but can join only one of them. Once a user requests to join a Dropbox Business team, an email request is sent to the Dropbox Business team admin, who can approve or deny this request. If the admin approves the request, the Dropbox Business team will be billed for an additional license. Dropbox Business admins can also manually approve or deny any outstanding requests via the Members tab in the Admin Console. Can I allow prospective team members to join my Dropbox Business team automatically? As the team admin of a Dropbox Business account, you can also allow new members to join your team without awaiting your approval. To do so, visit the Authentication tab of the Admin Console and toggle the Membership approval settings. How do I delete a member from my Dropbox Business account? What is a membership request, and how do I use one to join a team?